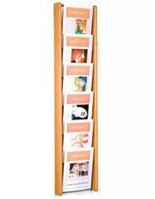 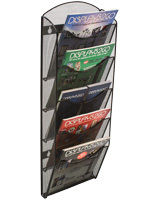 The wall mount leaflet racks are designed for hanging on the walls of doctor waiting rooms to keep patients entertained while they wait. 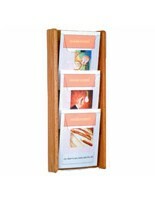 The chart holders are also ideal for placement outside of examination rooms to organize information. 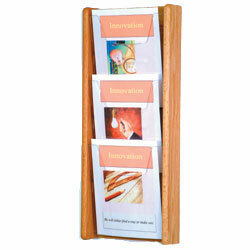 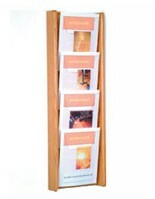 The leaflet racks with light oak finish have sides and backing of wood with a full-sized acrylic front on each pocket. 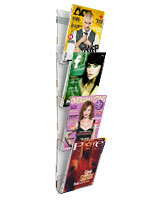 The magazine display keeps inserted materials upright due to the height of the front panel and the cutout allows for easy access to information. 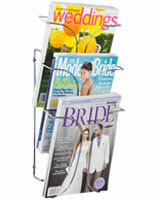 The racks with light oak finish are able to coordinate with many different room décor options to be placed in lots of settings. 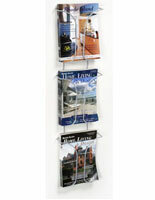 The chart holders also can display magazines for sale in a retail shop.